Adenium are often grown as bonsai because of their traits of forming a caudiciform base on the trunk or stem. This will develop into a gnarled and interesting form in time, and these long lived plants will surprise you with their lovely flowers of pink shading to white at the center. 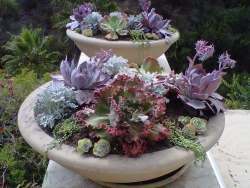 Growing these odd plants takes a bit of practice, and they are somewhat picky with soil type and their watering regime. They absolutely must not be overwatered, not even once. The well drained soil that you will use has to be dry - and that means dry - before watering again. This is especially important during the winter, when the plant will lose all its leaves and go into a dormant or resting phase. They need cool temperatures at this time, but not freezing. In the summer months, they have to have full sun. This is crucial, and they will object to not getting enough sun. They don't mean partial shade, or sun for only an hour a day; they mean full sun for at least six hours. 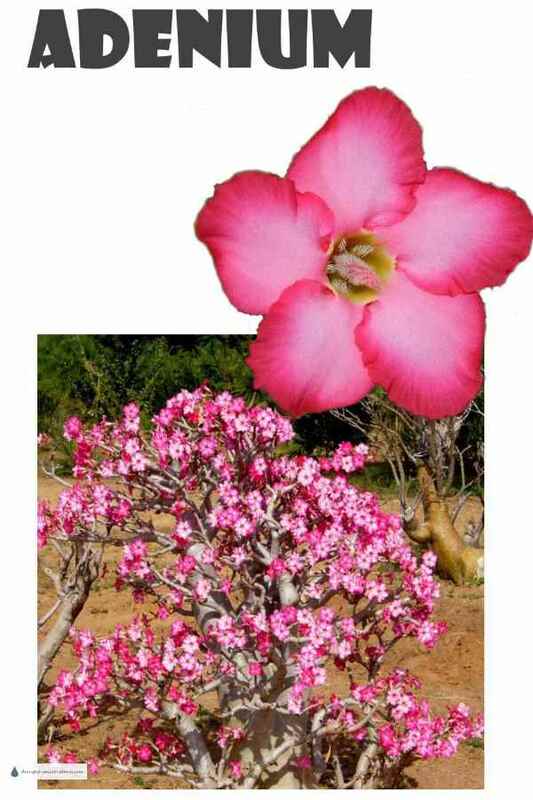 There are many species, but the one most often seen is Adenium obesum, so named because of the base of the trunk. This should be exposed and planted above the soil level. 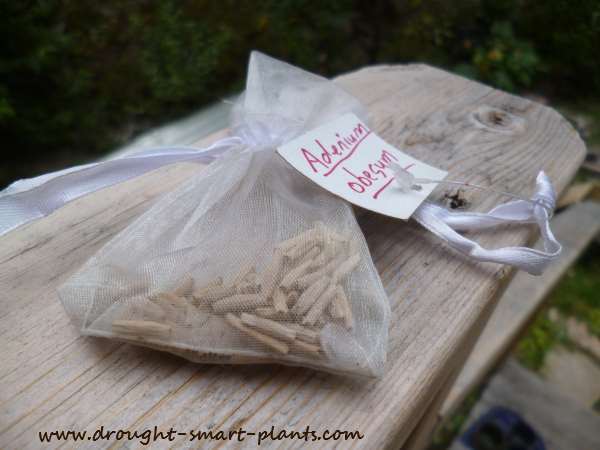 Although you can start cuttings from them, these will never form the bulbous trunk of a seed grown specimen. Luckily, they're relatively easy to grow from seed, as long as it's warm and moist in their environment. Cover with a plastic bag to form a little greenhouse. Starting them in the spring and early summer gives the best results.